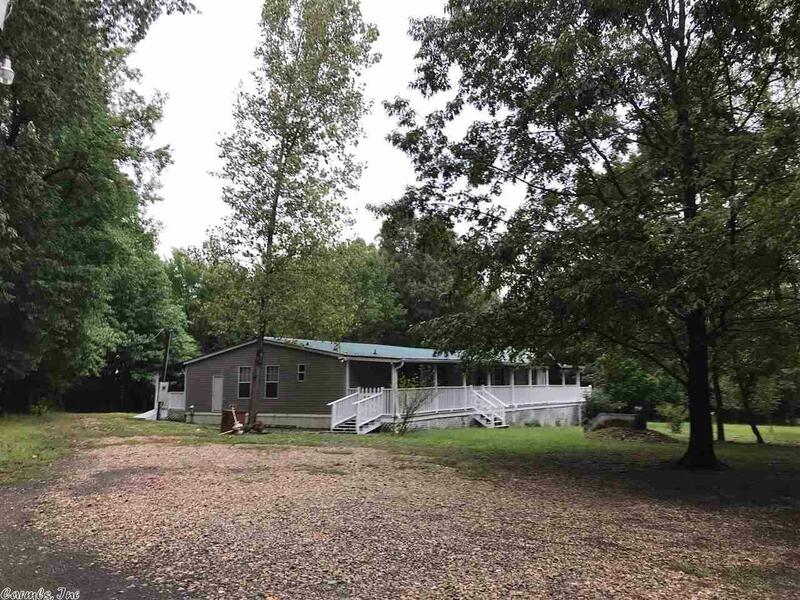 LOCATED JUST MINUTES FROM ARKADELPHIA sitting on 9.95+/- ACRES of land with TWO HOME SITES with water, sever and electricity. You'll love sitting on the LARGE COVERED FRONT PORCH that leads to open side deck area and continues to COVERED BACK PORCH. There's another covered deck that leads from laundry room. OPEN FLOOR PLAN in main area with white kitchen appliances and large island. Split bedrooms with W/MBR (plus sitting room) & MBA with LARGE SOAKING TUB AND SEPARATE SHOWER. There's even a POND/carport.